It seems to me that everyone and their mother tonight are talking about the amazing ‘Space Oddity’ cover by Canadian astronaut Chris Hadfield. So I won’t bother you guys with it. 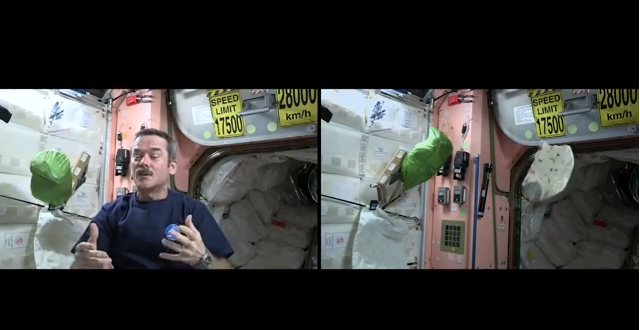 However, much more relevant to this blog is Hadfield’s comprehensive explanation of why tortillas are better than bread in space… (and everywhere else, if I might add.) Watch him walk you through making a “sandwich” in space and behold the floating tortilla. This entry was posted in Food, You Tube and tagged Chris Hadfield, Floating tortilla, Space food, Space Oddity. Bookmark the permalink.